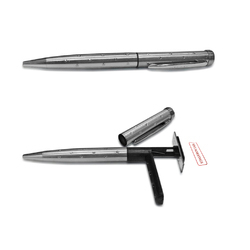 We are one of the preferred choices of our customers for proffering Pen Stamp for Offices. Lightweight and easy to use, the offered pens have self-inking stamp at the end that can be customized for adding name, address, contact details or any other information as per clients’ wish. For usage, one can push down the cover of the pen and then, turn it around for stamping the message. Pen stamps ideal for on the go stamping. Useful in attestations etc. Highly useful for notary. We offer Pen Hand Stamp. 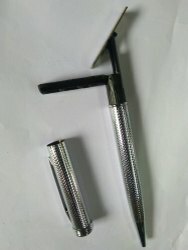 We also make pen stamp with excellent quality and services. We have become a distinctive name in providing a wide assortment of Pen Stamps. These stamps are elegant in looks and offered in colorful designs. The Pen Stamps offered by us are capable to print even small matters efficiently.We offer these stamps to clients in five different and attractive eye-catching colors with a beautiful box. Owing to our proficiency in this domain, we are providing our clients an optimum range of Pen Stamp.